Add a decorative element to your fireplace with this freestanding screen. It sits in front of the hearth opening and keeps ashes and soot in and pets and kids out. Available in designs for the holiday season and every day. No installation required--just set it into place. Approx. 26-1/2"W x 6"D x 27"H. Metal. 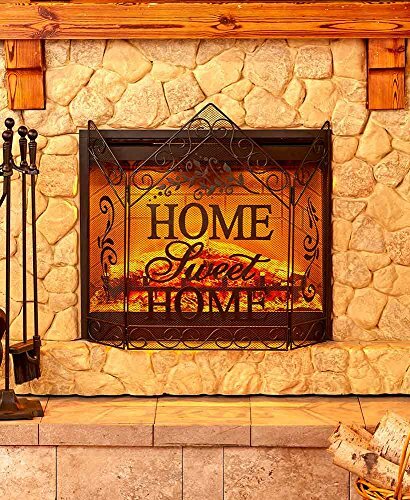 Add a decorative element to your fireplace with this freestanding Home Sweet Home Screen. It sits in front of the hearth opening and keeps ashes and soot in and pets and kids out. Available in designs for the holiday season and every day. No installation required--just set it into place. Approx. 26-1/2"W x 6"D x 27"H. Metal.